Madmix is a ready mix concrete company based near Cambridge that works with builders to provide different types of concrete suited for a wide range of construction projects, including house building, garages, outbuildings, extensions, domestic flooring, oversites and bases. With a fleet of 6 cu metre and 4 cu metre barrel truck mixers we are able to supply small or large quantities to multiple sites and welcome orders of all sizes. As local concrete suppliers we aim to be responsive, providing ready mixed concrete quickly and efficiently, six days a week. As you would expect from any concrete company, we can provide a full range of ready made concrete, mixed to just about any specification you may need – including waterproof concrete, foam concrete, reinforced concrete, lean mix concrete and so on. Laying concrete is frequently on the critical path of a construction schedule, and any delay can have knock-on effects for the whole project. Because we are local to the Cambridgeshire area, we can often deliver at short notice, with our same-day or next-day service. We keep our prices competitive and we provide a full range of payment options, including company account facilities where required. We deliver 6 days a week and can provide early morning deliveries as required in the local area. We understand that there are always challenges within the construction industry and where unexpected events occur we always do our best to work with you to find a solution and get the job done. Almost all modern construction projects utilise concrete at some point in the construction. Even where traditional materials and designs predominate (brick, stone, timber etc) concrete will almost certainly be used for some elements, such as foundations, because of the durability and strength it provides. As well as being non-combustible it is also impervious to vermin such as rats, insects, etc – which can often be an important consideration for buildings in rural or semi-rural areas, or buildings intended for food production and storage. Using concrete as an oversite enables a seal to be created between the underlying earth or other substrata – an important part of preventing ingress of damp into the building. And, because the concrete is liquid when it is applied, it can be used to even out irregularities, producing a level base for building. Concrete is also a relatively sustainable building material, with a lower carbon foot print than other common materials such as brick or timber. Its sustainability is further increased by using local concrete suppliers wherever possible in order to minimise fuel used for transport. Once in place, concrete acts as a good heat insulator, helping to increase the energy efficiency of the resulting buildings. Located between Coton and Madingley, just off the A428, Madmix is a premixed concrete company supplying a variety of concrete ready mix products. We also supply other building materials including sand, gravel, hardcores and other aggregates. 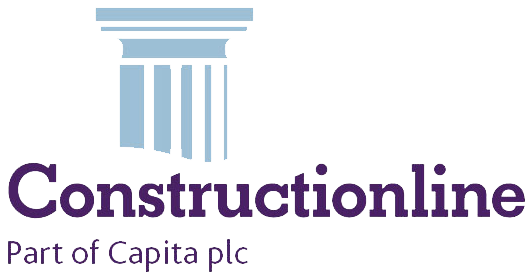 We have built our name on providing a friendly, flexible, responsive and, above all, reliable service to local construction companies. Madmix has also built a fine reputation for quality and we supply accredited BSI concrete meeting the kitemark standard. Our mixer trucks include a smaller sized vehicle for delivering to smaller sites or where access is tight. We can deliver six days per week including early morning deliveries on request, and we offer a wide range of payment methods to suit sole traders or larger construction firms.